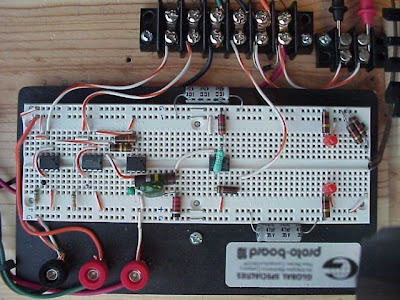 This Blog show the Different Electronics Circuit Design, Application, Fields and Resources which could help students, engineers, professionals, and common people whose interest is in electronics!!! For your comments, suggestions, or your looking for a circuit or design, or a electronics designer, please send you Inquiries to pcb1001@gmail.com. We are happy to help and attend to your concerns. If you hold two permanent magnets close together, you see that one of them will jump strongly toward (or away) from the other. In 1842, Samuel Earnshaw expressed the perversity of inanimate magnetic objects in his theorem. It explains this frustrating behavior will always prevent you from suspending one permanent magnet above or below another, no matter how one arranges the two magnets. 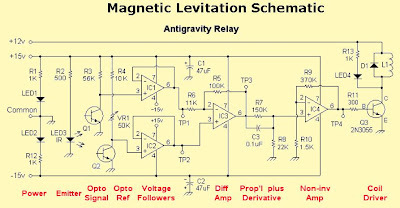 However, an active control circuit can get around this problem by rapidly adjusting the magnet's strength. 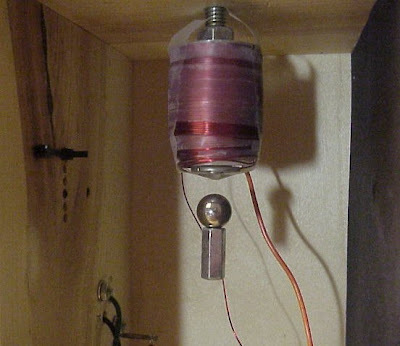 Click this image to see closeup of antigravity relay (38K) The general principle is straight forward: An electromagnet pulls a ball upward while a light beam measures the exact position of the ball's top edge. 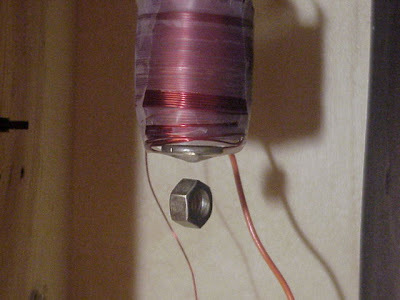 The magnet's lifting force is adjusted according to position. 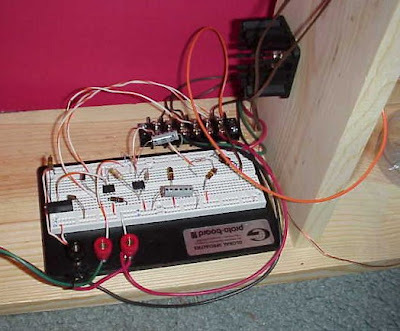 As less light is detected, the circuit reduces the electromagnet's current. With less current, the lifting effect is weaker and the ball can move downward until the light beam is less blocked. Voila! The ball stays centered on the detector! It is a small distance across the photodetector, perhaps a millimeter or two, but this is sufficient to measure small changes in position. Of course, if the ball is removed the coil runs at full power. And conversely, if the light beam is blocked the coil is turned completely off. Resistors listed in order by value are 1/4-watt, 5% unless otherwise indicated. I chose the LM741 op-amp out of nostalgia and convenience. It was an extremely successful and common op-amp about twenty years ago. There are lots of modern choices for dual- and quad-package op-amps. By using a package with multiple op-amps, you can reduce the number of parts and lower the cost. For example, you could use a single quad-package op-amp instead of four separate 741s. This would allow a very small printed circuit board to contain all the electronics!